Music and TV show audio recognition app Shazam pushed out an update on Monday, bringing faster performance for older Apple handsets as well as deeper social media integration with Twitter. 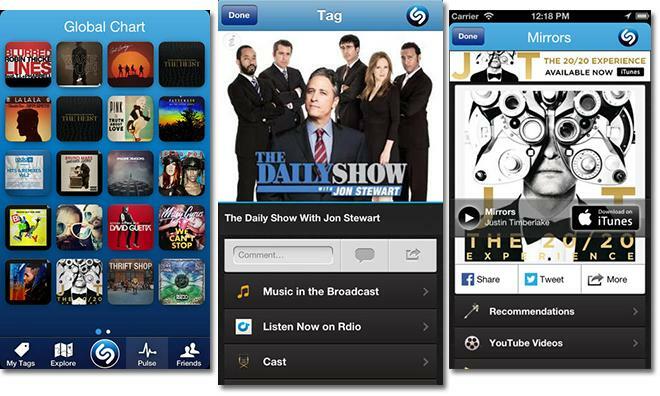 Shazam and its for pay partner app Shazam Encore both reached version 6.2.1 with the latest update, which promises higher performance, new Explore features and, for U.S. users, enhanced TV capabilities. According to Shazam's release notes, the apps feature "much faster" recognition, especially tuned for the iPhone 4 and iPhone 3GS. In addition, the software has been tweaked to better recognize songs and TV shows in crowded or loud environments. Tighter integration with Twitter is also included, with followers able to play track previews in the microblogging service's app or Web portal, as well as through Shazam's Twitter Card. Explore charts, which were introduced as a content discovery tool in a previous update, are now "more dynamic" and show a rolling list of popular media from the past seven days. Finally, U.S. users are able to access new TV functions in-app, though the feature was not described in detail. Shazam weighs in at 17.8MB and can be downloaded from the App Store for free, while the ad-free Shazam Encore, which offers full track playback with Spotify, can be purchased for $6.99.